Coated Arms : Be patient and you will see it! Be patient and you will see it! 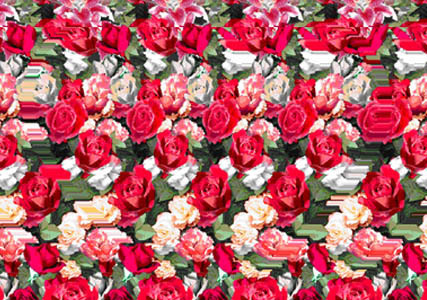 Optical Effects: Autostereograms or Magic Eye Puzzels. If you stare in the centre of the image, let your eyes go blurry, dont blink and kind of relax them for around 2 minutes than a 3D image will pop out. It really does work, took me a while but I saw it. Its a heart beating right there for you.